Los Angeles Metro’s public art showcases the city’s roots, providing visitors with an easy way to learn about various aspects of LA’s personality. 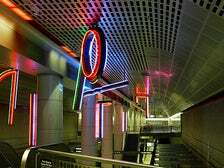 Movies, culture, myth and architecture all appear in the public art works of L.A. Metro’s Purple Line, which runs from Union Station to Wilshire and Western. Take some time to explore, and see how public art in L.A. adds another dimension to the city’s art scene. This St. Patrick’s Day, you can enjoy as much Guinness and Jameson as you like, just as long as you remember to enjoy them responsibly. 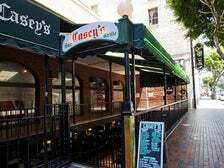 Lucky for you, we’ve put together a list that not only features some of LA’s favorite Irish pubs, but includes bars that are easily accessible via Metro. Los Angeles is home to one of the country’s best public transportation networks, including subways, light-rail, buses and shuttles to nearly every corner of the Greater Los Angeles area.